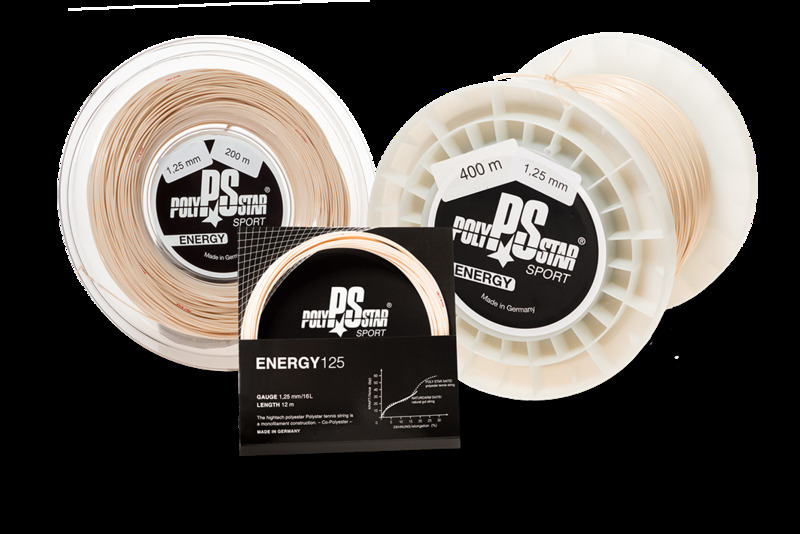 POLY STAR ENERGY is a monofilament, co-polyester tennis string and is our bestseller. It offers excellent deflection characteristics, a very good spin absorption and optimally controllable acceleration with stable elasticity. The special durability is ensured by the special preparation, which reduces the friction intensity at the crossing points in the tensioning grid and thereby increasing the durability. 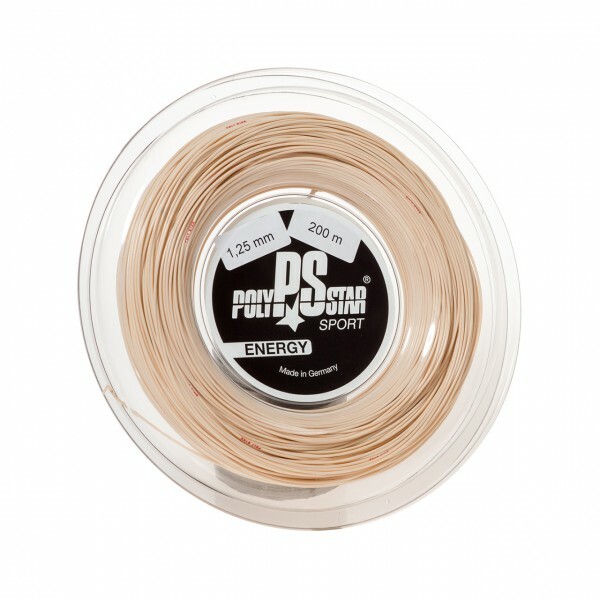 The POLY STAR ENERGY provides excellent propulsion and resiliency yet remains amiable on the arm.